The Bombardier Challenger 300 is a twin-engine private jet, capable of flying up to nine passengers coast-to-coast, nonstop in the U.S. The Bombardier Challenger 300, with one the largest cabins in its class, has an impressive range of over 3,000 nautical miles and top speed of 540 mph. 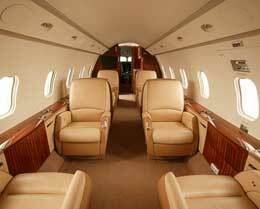 The Challenger 300 combines high levels of performance with a large interior cabin. 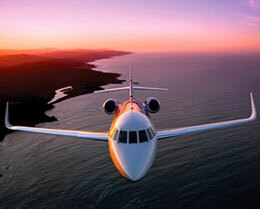 It can be categorized as a Super Midsize Jet alongside other popular options such as the Falcon 2000EX and Citation X. It is a superb option for medium sized parties that are traveling medium to long-range distances. 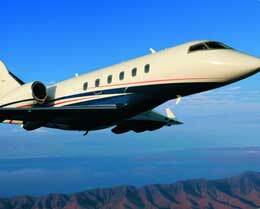 With relatively low operating costs, the Challenger 300 is a cost-efficient and economical option for most situations. Its interior cabin can be customized in several different layouts each including standard AC adapter power plugs, adjustable seats, and fold-out tables. Air conditioning throughout both the passenger and pilot cabins ensures a comfortable flight experience with moderated temperature control. A fully-enclosed private lavatory is included with all individual units. The Challenger 300 is as much about comfort as efficiency and this is evidenced throughout all of the features and amenity possibilities the model provides. If your party size is around eight or less, the Challenger 300 is likely the ideal candidate for your medium to long distance travels. 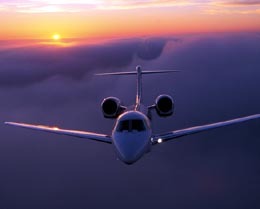 Meticulously designed to be as aerodynamic as possible, the Challenger 300 is truly the product of modern engineering. Additionally, an advanced digital troubleshooting system is featured with every unit of this series making repairs and maintenance a streamlined and straightforward process. Features like these reduce the overall cost of the jet, which benefits all parties involved. Four liquid crystal displays are implemented throughout the jet, allowing real-time monitoring of fuel levels, temperatures, and environmental controls. This is thanks to a state-of-the-art Pro Line 21 Integrated Avionic System from Rockwell Collins. 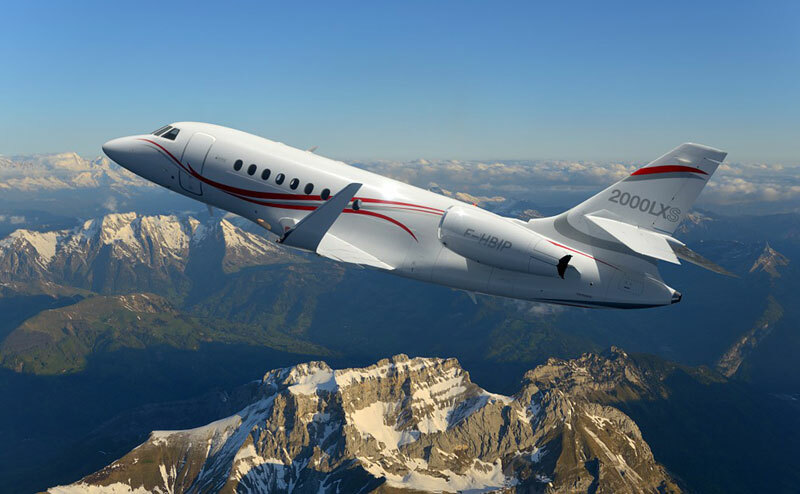 The Challenger 300 also features a Traffic Collision Avoidance System and an Enhanced Ground Proximity Warning System to ensure that crewmembers are aware of potential hazards during all phases of the flight. Many of the jets functions are fully automated as well to allow the pilot to focus on only the most imperative duties. Safe, comfortable, and reliable: the Bombardier Challenger 300 has quickly grown to be a popular option across the globe. The main advantage of the Challenger 300 series is its ability to fly at an impressive range and altitude for its class. With eight passengers, it can fly non-stop for more than 3500 miles, take off in just 4,800 feet, and has a flight ceiling of over 45,000 feet. This allows the Challenger 300 to avoid most flight traffic and undesirable weather conditions. Faster than the majority of aircraft in its class, the Challenger 300 can reach speeds of over 470 ktas utilizing dual Honeywell HTF7000 turbofan engines with an impressive takeoff weight of 38850 lbs. A unique feature of the Challenger 300 as well as other Bombardier jets is the varied range of possible interior materials are available giving each individual unit a personalized feel. Although optimal performance is achieved with eight or less passengers, this Super Midsize Jet can seat a maximum of 11 passengers if required. A dynamic, versatile, and efficient loadout ensures that the Challenger 300 can compete with the best of the best, despite being the first and smallest of its family of jets. For more information about chartering, leasing or buying a Challenger 300 please contact us by calling +44-20-3874-8091 or send us an email here.